In 1938, Philip "Bing" Adams purchased a one-room gas station in Kittery, Maine as a means of providing for his growing family of 14 children. Eighty years later, the 4,000 sq. ft. Kittery Trading Post has turned into a 90,000 sq. ft. outdoor specialty store, welcoming new & long-time customers from New England and beyond. Thank you to our loyal customers for your continued support & patronage of the family business. In celebration of Kittery Trading Post’s 80th Anniversary, we wish to extend this special offer! 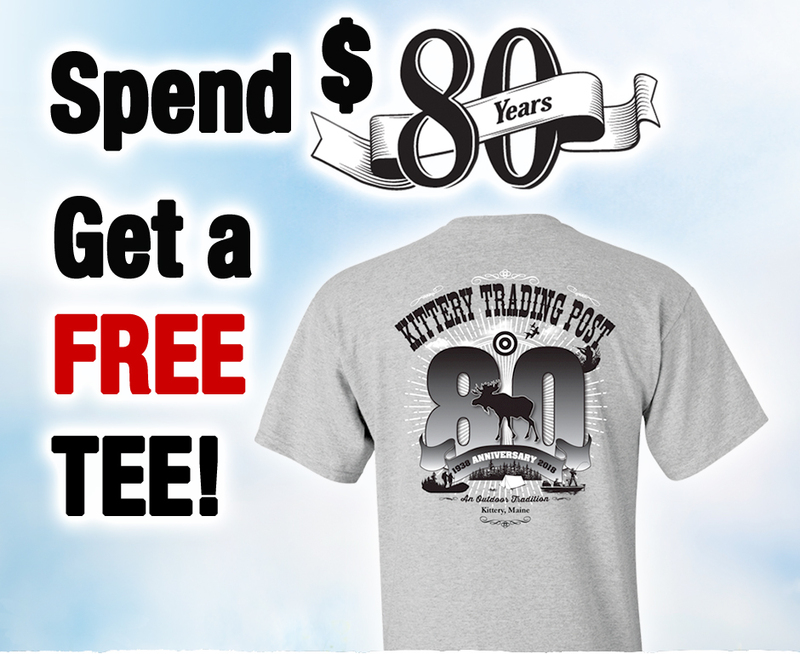 Spend $80 in our Kittery, ME store, receive a FREE 80th Anniversary T-Shirt, while supply lasts. Offer not available online.